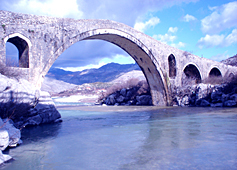 Albania Holidays as one of the most specialized and an entirely incoming tour operator offers various tours of Albania, and its neighboring countries, Kosovo, Montenegro, FYR of Macedonia etc. me teper Our Albania tours for individuals and groups are designed to provide an authentic entryway into Albanian history, culture, nature, daily life and people. This is done with the greatest love and passion for our country, an upbeat feeling that we like to transmit to our clients through interesting itineraries, fascinating venues and passionately capable guides. Our itineraries and tour lengths are flexible, making it easier for you to customize your Albanian tour based on your own interests and time. We welcome requests from individuals and groups. Below you will find a just a few examples of tours on offer but we assure you many more can be developed tailor made for you. The Classical Highlights of Albania Tour is a must for any visitor who would like to discover Albania within an acceptable time frame. It offers a great introduction into Albania’s past and present history, customs and traditions. It touches all the gems of the country from ancient sites to architectural buildings and towns, comprising three UNESCO World Heritage sites. All this is accomplished in style, with excellent guides. As the name suggests this is a bare essentials tour for fully independent travellers. As such it is devised to be the most budget tour showing the highlights of Albania by providing clients with an itinerary, a modern vehicle and a safe driver with conversational language skills, who will only follow the outlined itinerary and its suggested stops. All other extra elements such us; additional days or visits, better standard hotels, a guide who is also the driver, meals and more can be tailored to the clients need at additional costs. This is basically an extended Albanian highlights tour which is devised for travellers who can save considerable travel costs by flying to Corfu, or those who would like to combine a Corfu holiday with an Albanian discovery tour. In addition to the major highlights visited, this tour includes also the south eastern part of Albania which offers a combination of cultural monuments, magnificent natural landscapes and tasty cuisine. This is a tour aimed at archaeology enthusiasts focusing mainly in ancient remains and sites which are plentiful all over Albania. This tour explores the remains of these civilizations as well as that of the Illyrians widely accepted as predecessors of present day Albanians and we will proudly share with you some of their history and monuments. Although this tour has a significant archaeological theme throughout, it does not neglect UNESCO World Heritage towns, Berat and Gjirokastra. Albania’ cuisine is rich and varied with a notable influence from Ottoman cuisine which has influenced many of the cuisines in the Balkans particularly that of Turkey and Greece which are probably better known than the rest. Albanian cuisine has many similarities to them , however it varies from the dry style of the Turkish and Greek cuisine, due to the fact that it has many dishes in the forms of casseroles. Similar to Greek cuisine it does away with middle eastern strong spices, substituting them with Mediterranean herbs, making the tastes more subtle and European. This tour includes all the highlights of South Albania including the three UNESCO sites which are situated in this part of the country. Devised for travellers who can save considerable travel costs by flying to Corfu, it is a budget conscious tour which combines cultural monuments with wonderful natural landscapes. This is a tour for the traveller who is also a car enthusiast. Albania offers varied landscapes which can be explored in different ways and this is one of the more adventurous and luxurious way of exploring the magnificent north. Mountains, gorges, canyons, glacier lakes, lush fields, dense forests, traditional picturesque mountain villages, rivers with clear waters and more are all part of this jeep tour of the country.